In recent decades—as a result of increased urbanisation, industrialisation, and resulting affluence—people are having fewer children. This new demographic scenario has created a set of troubling social problems, such as labour shortages and a decline of economic dynamism. 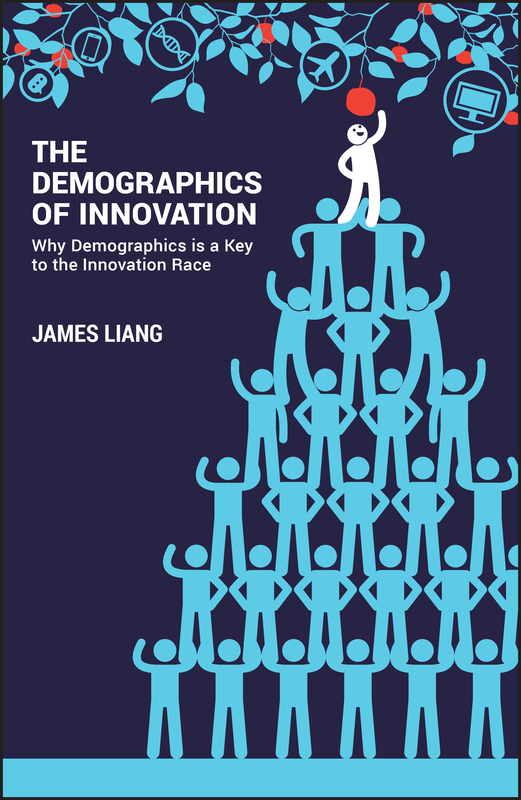 Written by James Liang, a Stanford-trained economist, demographics expert, and prominent internet entrepreneur, Demographics of Innovation takes a deep, investigative look at the link between economic growth, innovation, vitality and entrepreneurship in an aging population, and provides a smart strategy for the future. Liang eschews the traditional thinking that highlights the financial burden of the demographic shift and decries the global population collapse. He argues that many negative aspects of the impact of an aging population will be mild and manageable, maintaining that the most fundamental and irreparable problem of aging is the weakening of entrepreneurship and innovation. Innovation loss is the first step in stagnation, so the question becomes: who will win and who will lose in this new world order? There is a lot to like in this book, it is thoroughly researched and makes it’s case well. Overall it is a useful addition to the growing wealth of literature looking at innovation. Reading it, we certainly came away better informed about the growth patterns and projections of the major global economies, in particular the US, India and China. Reading it though, it did feel like it spent a long time, probably too long to get past outlining what the data said, and moving onto an interpretation, analysis and some insights about what this all might mean. As mentioned, you are definitely better informed after the first 100+ pages, but after a certain point the number of charts and statistics began to get in the way of the analysis. You found yourself reading it, and saying, yes, but what does it all mean? Once it finally got to making some analysis and observations, at times they felt a little deterministic, yes the US had a larger population than Europe, so this helped it to rise as an economic power. And yes, China, and India have both followed this growth pattern too, so it might be reasonable to imagine that innovation will follow and blossom in these larger population centres too. Does this mean that innovation will only really thrive in the countries with the most people? Singapore, Israel, Ireland and the Nordics among others all then spring to mind as counter examples of this principle? Overall this is a useful and interesting book, but, at times you found yourself wanting it to be a little lighter on the charts and illustrations, and to go deeper and asking if innovation is only solely driven by demographics?